Update: Laura spoke with FleetOwner about the new status of CSA scores and SMS data. For all its faults, CSA provided context about violation data. Fleets were rated in a peer group of similar-size fleets, and given a percentile ranking. But with the budget deal in Congress worked out over the holidays, the CSA scores were taken away from the public view. Today, the FMCSA announced it would return the underlying data — the Safety Management System (SMS) — to public view. 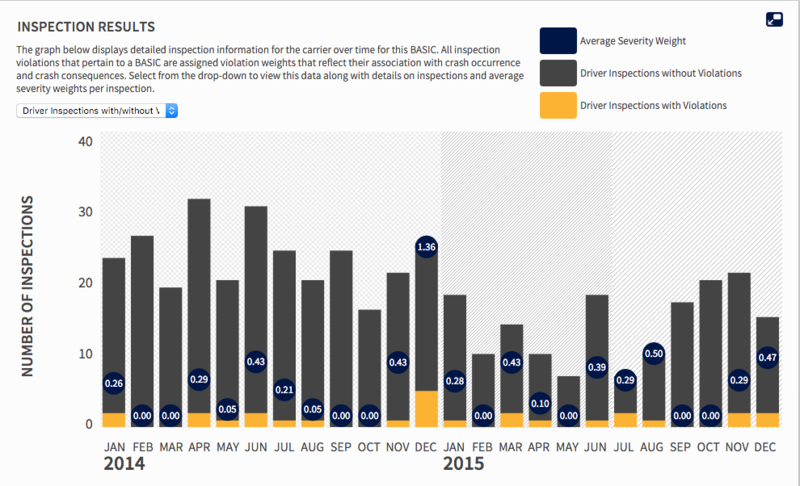 Now that the FMCSA is opening the floodgates to all the violation data, there's no good way to know if, say, 400 HOS violations in a 12 month period is good, bad, or ugly. Moreover, all the data is out there, including crash data and hazmat data. Wait, is this good or bad? From a political standpoint, the FMCSA seems to be escalating the argument with the trucking industry over CSA scores. The CSA scores certainly weren’t perfect, but it’s as if they’re asking, "Now that all the data is out there, how do you feel about CSA scores?" To be blunt, a good safety and training professional shouldn’t worry about CSA scores anyway. For one, CSA scores are a lagging metric: they reflect what’s already happened. But more importantly, they’re an enforcement tool designed to catch and shame "bad actors" — the poor performing fleets. What we know from best performing fleets is that they try to nip safety problems in the bud. That means looking for leading metrics: data and trends that can point you to a small problem before it blooms a big problem. And speaking of leading indicators, safe fleets and well-trained fleets precede profitability. Safe fleets build a culture where drivers take their time, have “soft feet” on the accelerator and brakes, and make HOS recording and pre-trip inspections a part of their routine. That leads to lower fuel costs, longer equipment replacement cycles, lower insurance costs, and fewer liability lawsuits.